Republicans staged Chicago’s first national political convention in May of 1860. And for the first time ever, a citizen of Illinois was nominated for President of the United States. His name was Abraham Lincoln. In 1860 the Republican Party was a new, dynamic, anti-slavery party. Four years before, in their first presidential campaign, they’d run a surprisingly strong race. Now the Democrats were split on the slavery issue. The Republicans would likely be picking the next occupant of the White House. 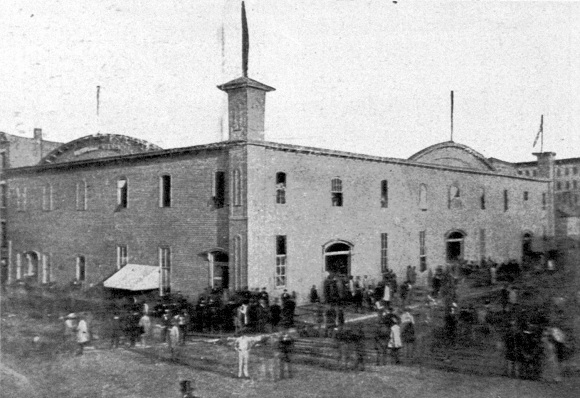 As the delegates and party faithful arrived, Lincoln looked like a longshot, one of a half-dozen minor candidates. He had served a single term in Congress, then gone back to practicing law in Springfield. He&apos;d also waged a spirited — but losing — senatorial campaign against Stephen Douglas. 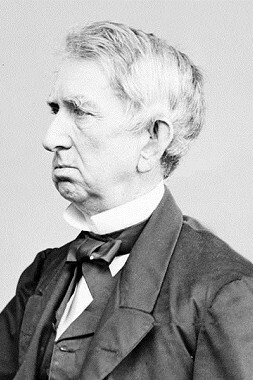 The favorite for the nomination was William Seward, Senator from New York. He was known and respected throughout the country, and had the largest number of delegates. His people exuded a confidence that bordered on arrogance. What Seward and his followers didn’t know was they were about to be present at a historic event. They were about to witness the birth of Chicago’s reputation for hardball politics. Balloting was to begin on May 18th. That morning, thousands of Seward fans marched through downtown. They waved banners, they shouted, they sang. But when they got to The Wigwam, they couldn’t get in. Lincoln’s supporters had printed counterfeit tickets and packed the hall. First ballot. As expected, Seward led. Yet whenever a speaker mentioned Lincoln’s name, the audience exploded into cheers that shook The Wigwam. Uncommitted delegated were impressed. Honest Abe seemed to be the people’s choice! The Seward delegates were in shock. Meanwhile, Lincoln’s people wheeled and dealed. On the third ballot, Lincoln was nominated. The Chicago Press and Tribune, owned by Friend-Of-Abe Joseph Medill, was ready. A special souvenir edition was rolled out, with a discount price for bulk purchase. The paper also offered the delegates a variety of mail subscriptions, so they could follow the campaign once they returned home. 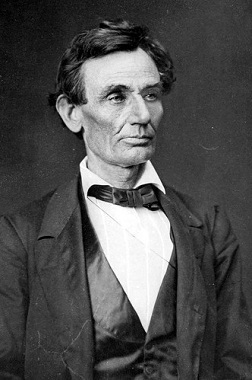 Following tradition, Lincoln had not attended the convention. He stayed in Springfield and got his news by telegraph. If Lincoln had come to Chicago, he might have walked a few blocks from The Wigwam to McVicker’s Theater, to see the hit comedy “Our American Cousin.” Five years later, when he was president, Lincoln finally caught the play in Washington–and was assassinated during the performance.